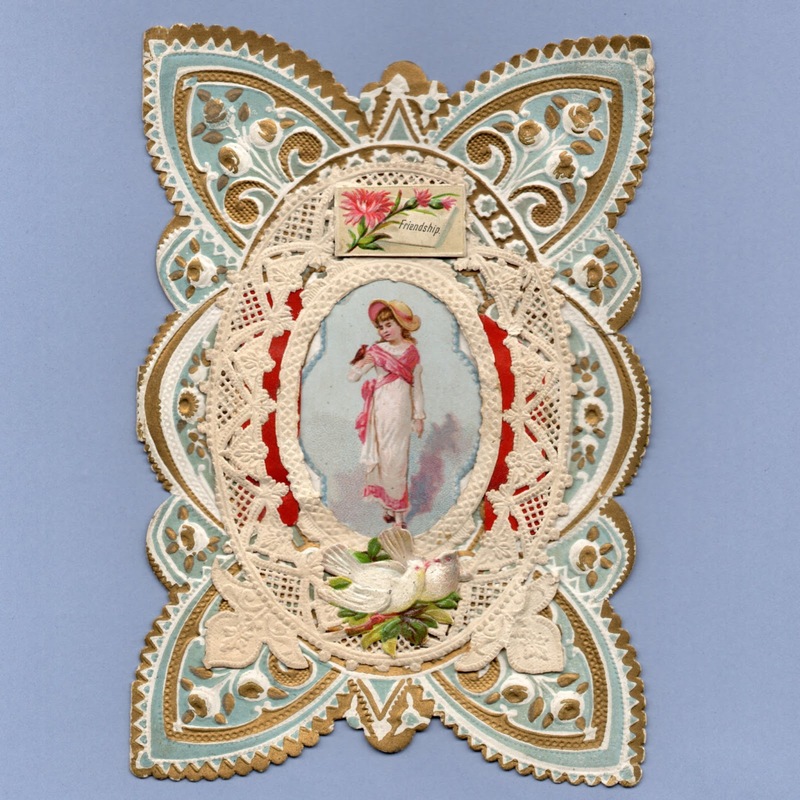 Vintage Valentine Museum: Don't be Chicken my little Love Bird! Don't be Chicken my little Love Bird! Dainty little darling Tell me, tell me true, Will you still forever, Doubt my love for you? You could make me happy, With one gentle tone, Never more to wander, True to you alone! 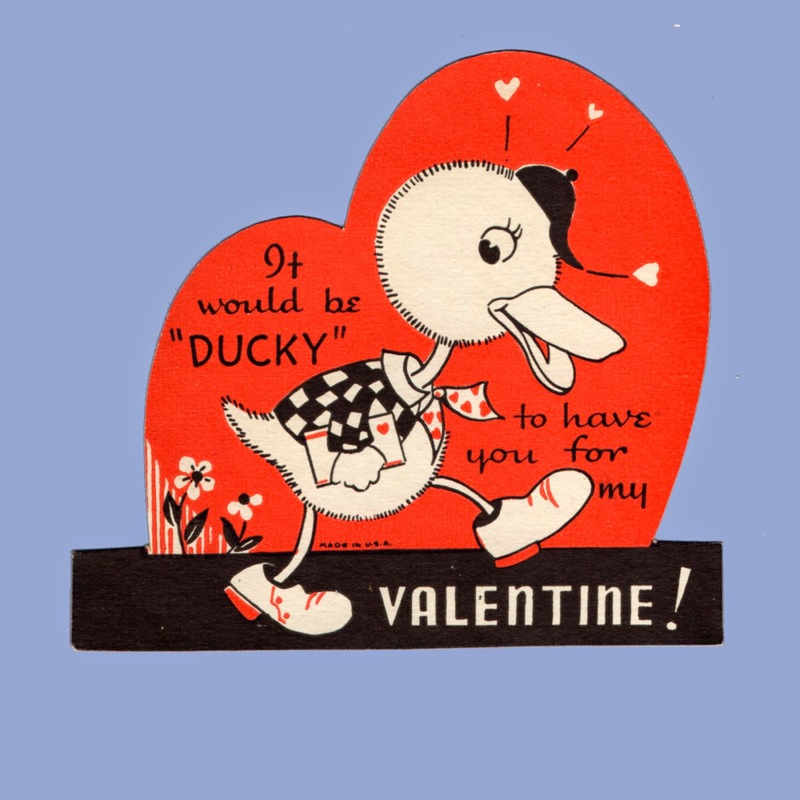 It would be DUCKY to have you for my Valentine! 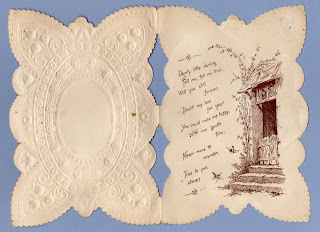 Love's Tribute - Just a word of greeting, But may it bear to you The hopes in my heart beating, Dear Valentine, for you. 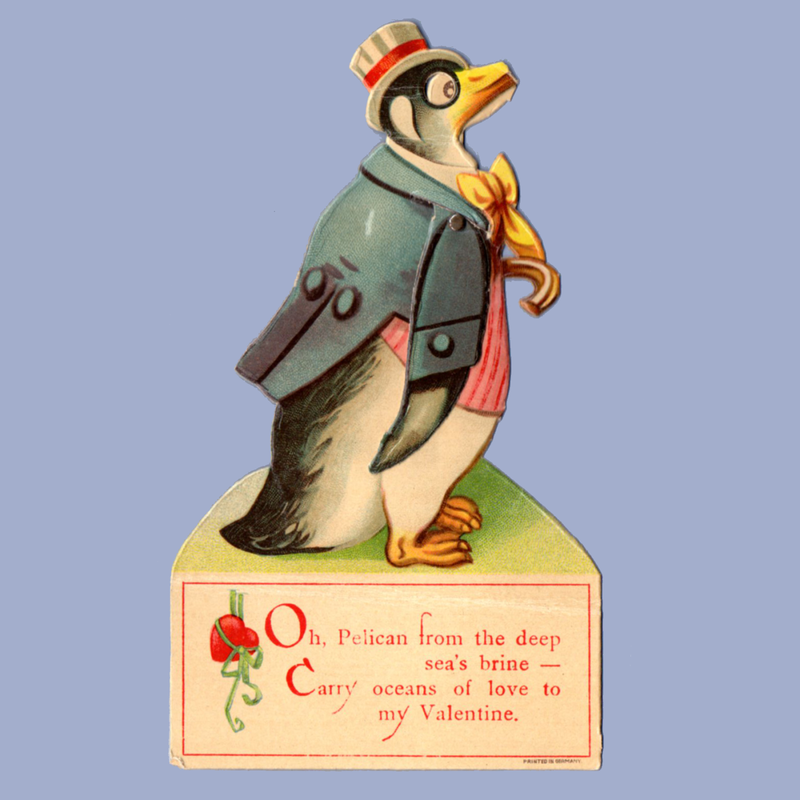 Oh, Pelican from the deep sea's brine - Carry oceans of love to my Valentine. 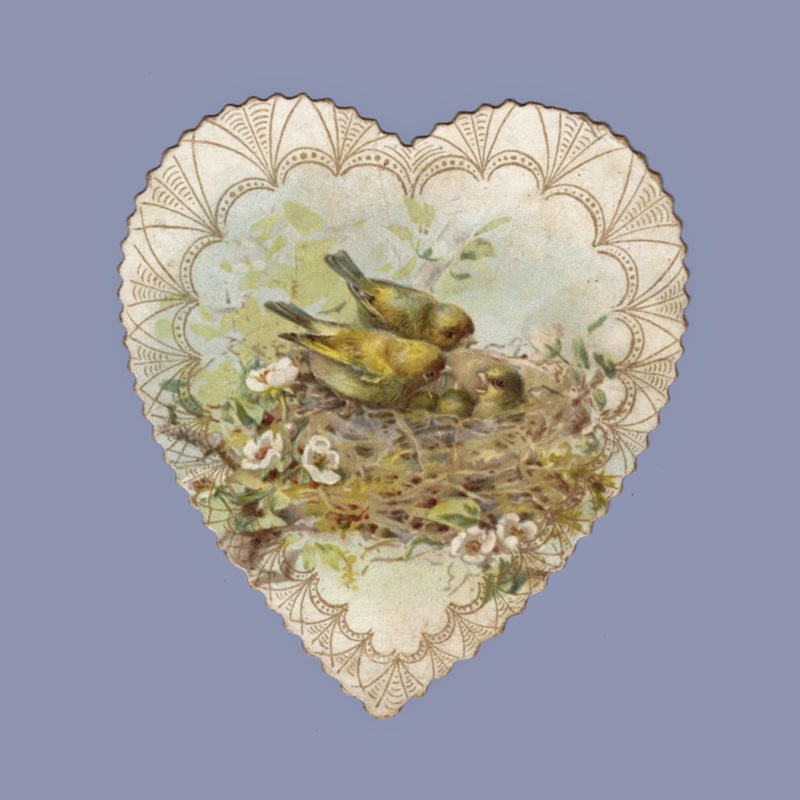 3 5/8" x 6 3/8"
Valentine - I'm the BIRD that Loves You. Just HUMMING around to be your Valentine ~ I've gone DAFFY over you hope you'll learn to like me too. 2 5/8" x 5 1/8"
5 7/8" x 4 7/8"
You're the bird for me Valentine. To My Valentine ~ Just a little valentine A little greeting too For someone who is very nice And that someone is you. 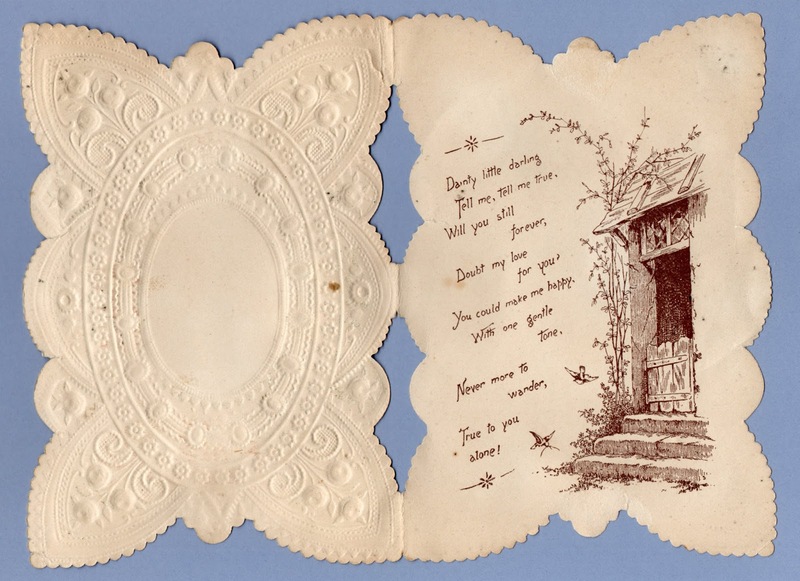 Coulda PHONED ya --Coulda WIRED ya -- Coulda wrote a LETTER ~ But to say "I like you lots" A VALENTINE is better! 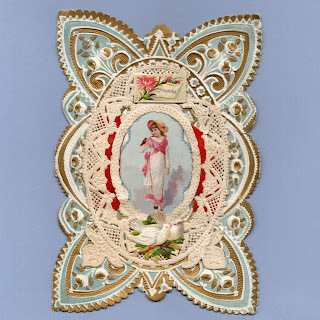 SWALLOW your pride and be my Valentine - I'd like to be a swallow, Then dart to you and say: "I love you dearly, truly, Be my Valentine Today." With best wishes to My Valentine ~ I'm so Bashful! 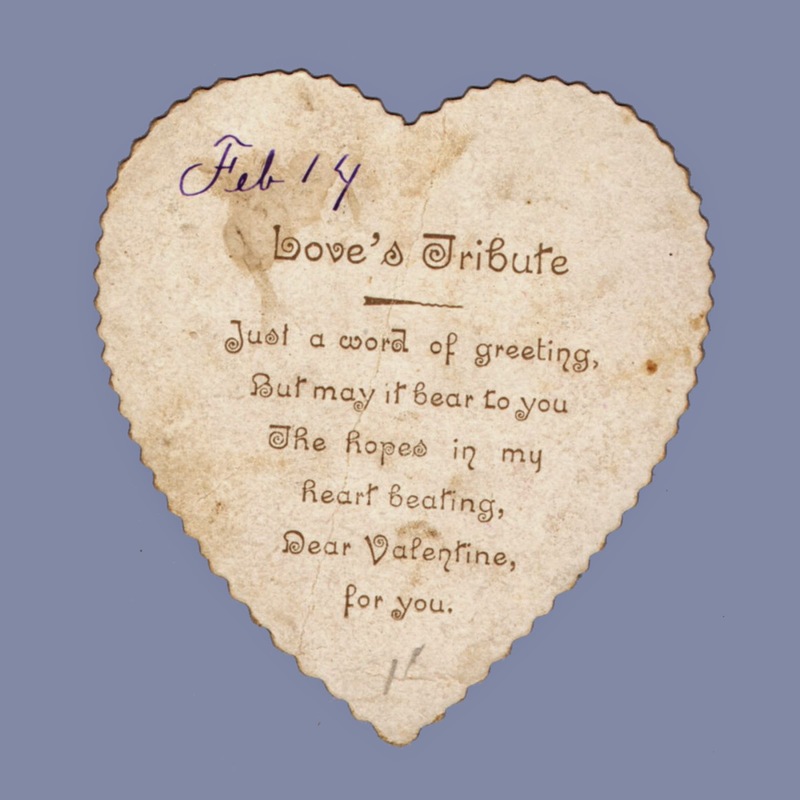 The Valentine's a fine invention For bashful chaps like me, I need not even sign my name A great relief, you see. 1 3/8" x 4 3/8"
You're OWL I want My Valentine. To my Valentine. Love. The thought of you makes my heart sing ~ I want to take you under my WING. I'm sticking my neck out to ask U, to be my Valentine. And never more forsake me. Everything with me is DUCKY and my friends say I'm so Lucky. My Valentine! 5 7/8" x 3 7/8"
A charming friend of mine. Here I am my Valentine! To my Valentine Whoo says I can't stay in your Heart. 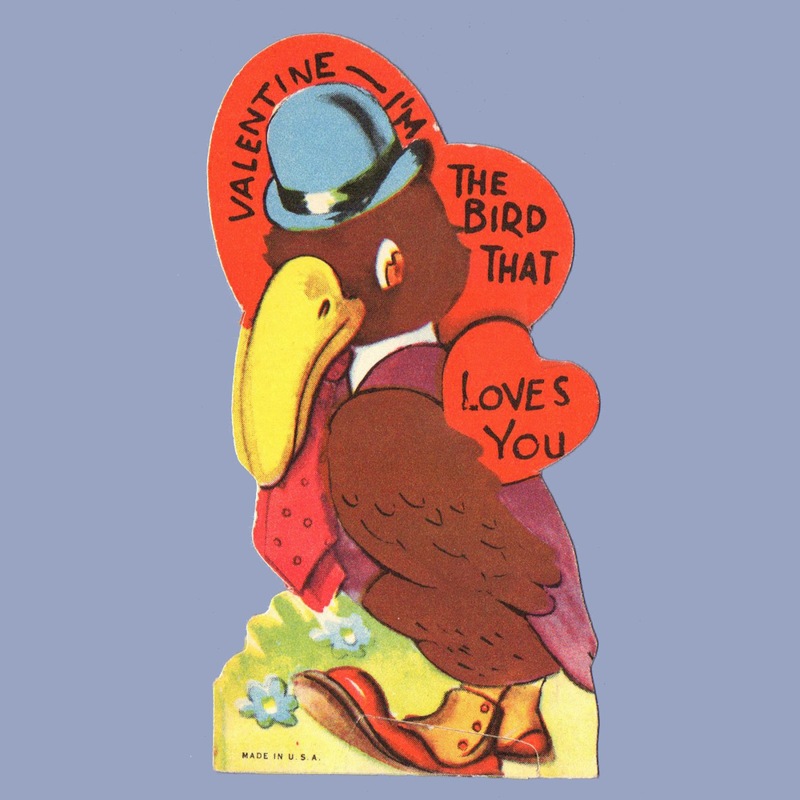 Love Be Mine And I'll have Something to Crow About My Valentine.